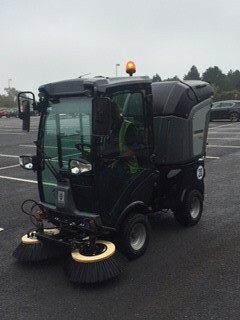 Corpor@te Facilities Services have recently invested in the purchase of a Karcher MC50 for one of our long standing clients – Atlantic Village, Bideford. Investment in new machinery/technology is of paramount importance to Corpor@te Facilities Services to ensure that our service provisions are to the highest of standards and to improve overall efficiency within each contract to assist with service charge budgets. As part of this commitment we recently launched CFS 3D which is a real time reporting and patrol management system that has been introduced to a number of our clients. CFS 3D provides a reporting structure that can be viewed remotely from any where in the world by logging in via our website – providing complete management to each of our contracts 365 days of the year.